We manufacture marine fuel tanks, marine holding tanks, live bait tanks and marine water tanks for all your boating needs. Any size, any shape, we will manufacture to your specifications. 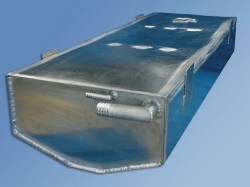 Made with prime grade marine aluminium or stainless and supplied [if required] with correct baffles, senders, removable pick up tubes, vents, fuel fill and grounding tabs. Uniquely designed to fit comfortably within the hull of your boat or under the seat mount. 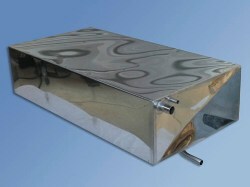 We also complete fuel tank repairs and water tank repairs. Contact us today with your enquiry and we will happily provide you with a quote.